Kloter Farms Adirondeck Chairs and Cape Cod Fire Pit! 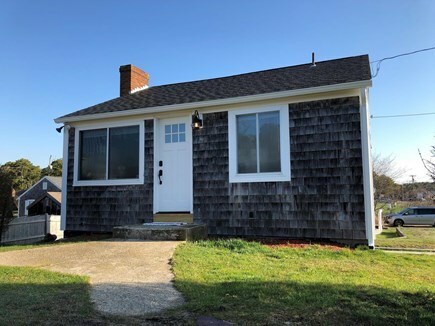 Cozy Cape Cod Cottage literally 100 steps from Glendon Road Beach with access to private beach on Old Wharf. 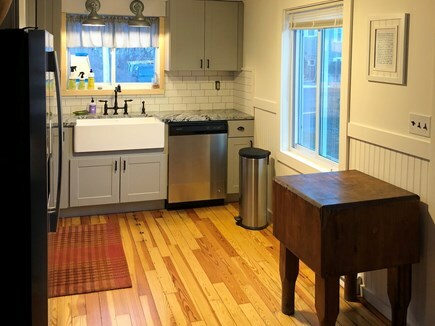 The house has beautifully refinished antique pine floors throughout and a freshly remodeled kitchen! 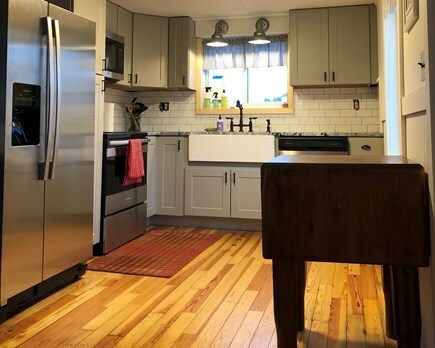 The kitchen adorns brand new stainless steel appliances, farmhouse sink, subway tile back splash, antique butcher block island, and various other elements of modern farmhouse decor. The living and dining room have subtle gray painted ship lap pine paneling. A flat screen TV, wifi, internet cable (RoKu) and DVD player allow guests to stay connected while the expandable drop leaf table can seat up to 6 for a nice hearty meal. Additionally, there is outdoor patio furniture to enjoy a meal outside. There are two bedrooms, both tastefully decorated and remodeled. 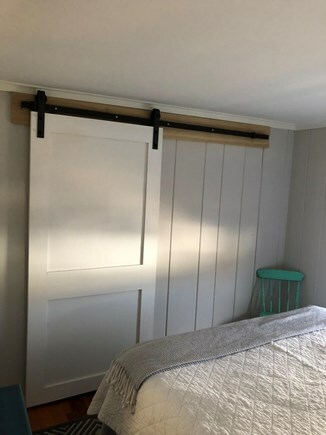 Brand new memory foam queen beds, painted ship lap paneling, barn style closet door, and unique lighting allow for a comfortable nights sleep. The house has a freshly remodeled bathroom with brand new fixtures, rainforest shower, stenciled ceramic floor, and subway tile surround. Finishing touches in process and updated photos will be posted in May 2018! 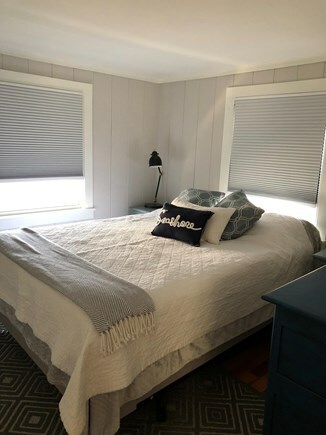 The house has 3 window unit air conditioners as well as forced hot air heat which allows guests to keep temperatures regulated no matter the weather. The large front yard and fire pit are a wonderful pass time for evening socializing and relaxing. The house is a stones throw from famous Sundae School as well as other wonderful restaurants like Kreme N Kone, Swan River Restaurant and Fish Market, and many others. Yarmouth is a 10 minute drive packed with mini golf, water park, bumper cars, and much more for the kids (and young at heart)! Below is a fun little narrative I put together. 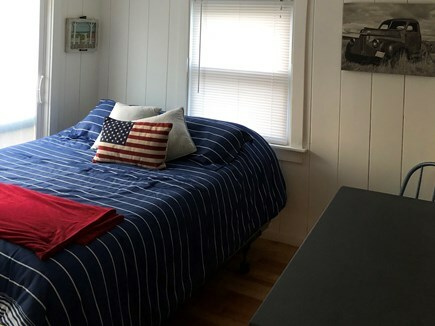 Feel free to read along and envision yourself on vacation at The Adventurer in Dennisport! 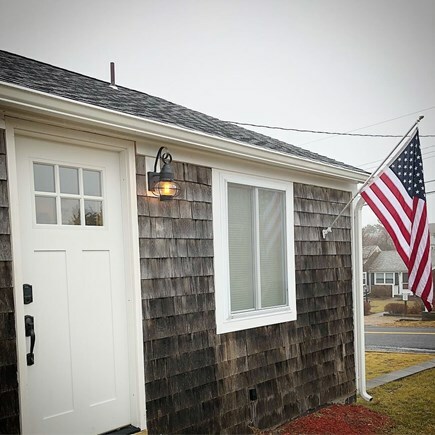 You have just traveled to Cape Cod for your long awaited summer vacation. You timed it right, and the traffic wasn't too bad. You exit the highway using 9a to Dennisport and travel the 5 minutes drive to the shore. You see the famous Kreme N' Kone in front of you. 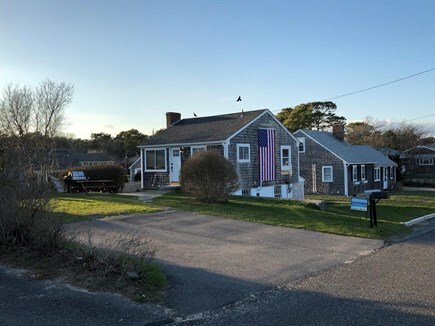 The house is just a few streets away off of Old Wharf. You turn into the driveway of the quaint cottage. ''The Adventurer'' the quarterboard reads. As you exit your car, you can see and hear the ocean. The crisp salt air greets your nose. You kick your shoes off and walk through the lush green grass up to your home away from home. The electronic lock grants you keyless access to your getaway retreat. You open the door and are greeted with antique hardwood floors, farmhouse chic decor, ship-lap walls, and much more. The kitchen to your right has just been renovated with new cabinets, brand new stainless appliances, marble counters and farmhouse sink. 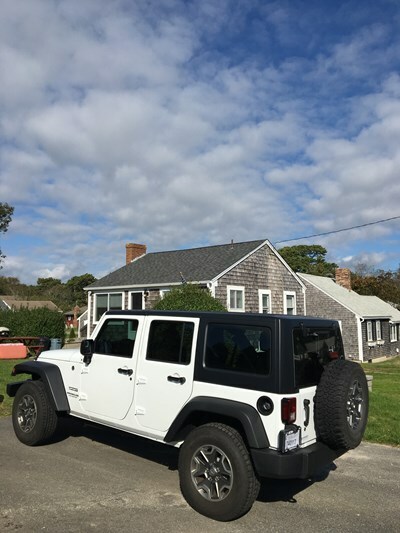 You drop your bags on the antique butcher block island and are very happy with your rental selection. 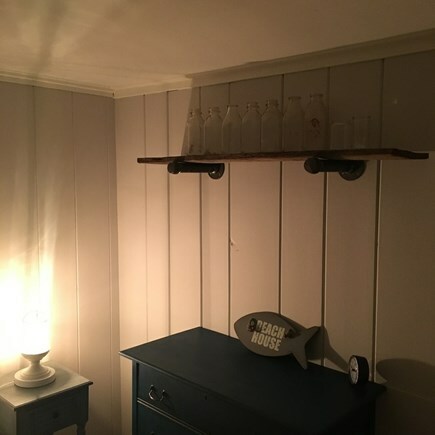 You head towards the back of the house where you find a beautifully renovated bathroom adorned with subway tile surround, rain forest shower, stenciled tile floors and beadboard walls. The air conditioners are doing their job and keeping the house a cool 65 degrees. 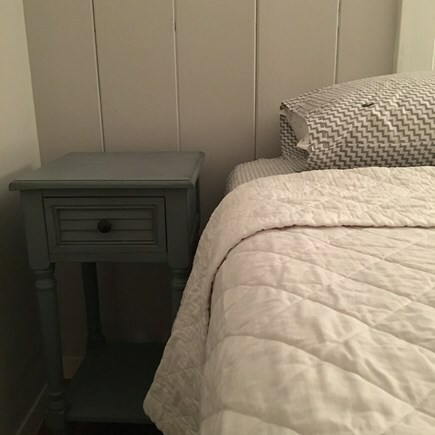 You pass through the rustic antique door into the ''Shoreline'' room to find a brand new memory foam queen bed. Your friends will stay in the ''Simply White'' room next door where they also have a brand new memory foam queen bed. The kids are excited to sleep on the pullout sofa. 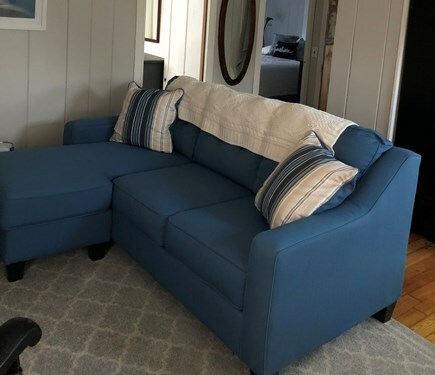 The sofa is made of sunbrella fabric so its plenty durable and stain resistant. 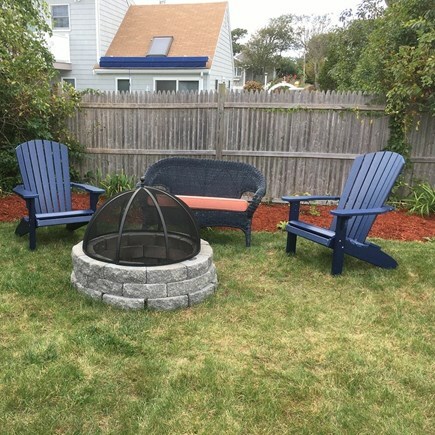 In the front yard is a Cape Cod fire pit and Kloter Farms Adirondack chairs. A Bose Sound Dock connects your phone via blue tooth and allows you to stream your favorite music. You realize being by the beach you have like ZERO service, so you log into wifi and can now be reconnected- but only if you want. So you have settled in and want to get to the water! Simple, head down the driveway and take a right. Walk exactly 100 steps. You will be on the sidewalk of Old Wharf. You can take 10 steps to your right and access the private beach using the walking path at 141 Old Wharf. Or if you want to people watch or have a larger area, you walk 30 steps to your left and are on Glendon Town Beach. Now you have spent the day on the beach and are ready for some food and dessert! After all, that's the best part of vacation, right! Right down the road is Swan River Restaurant. If you feel like having a cookout at the house, they have the freshest seafood in town! If you aren't in the mood to cook they have a nice rustic restaurant right on the beautiful Swan River. If that's not your style, there are many other favorites nearby! Check the basket on the book shelf next to the fireplace for my personal favorites. Now you are stuffed from a great dinner and need to satisfy that sweet tooth! Look no further than the famous Sundae School. Its less than a mile from the house. They have hands down THE BEST ice cream on Cape Cod. My favorite is 2 scoops of pistachio with marshmallow sauce and burgundy cherries! But be patient- the lines get a little crazy in the summer time. I promise you, it's worth the wait! This is a lovely, clean, bright and sunny house within steps to the beach. 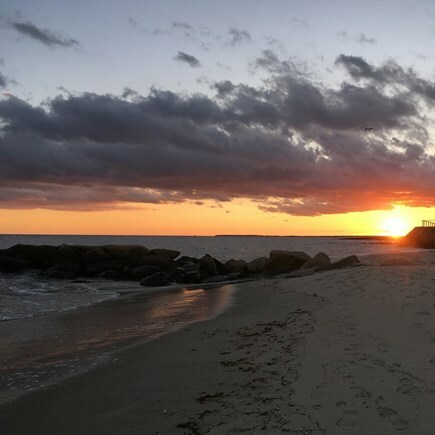 There's an easement way to a quiet, peaceful beach to read or enjoy the sunset! I love this house and the spacious yard with firepit for night time fun with our friends and family relaxing under the stars. There are wonderful restaurants nearby or a grill for eating outdoors. We can't wait to go back again this summer. This is such a great place to relax. Offers everything you need, perfect location to the beach, quiet friendly atmosphere. Can't wait to go back. For the record, the best thing at Sundae School is the Coffee-oreo ice cream with marshmallow Although the raspberry-oreo is also a favorite. My name is Zach. I purchased this home a little over a year ago. It has been a wonderful father son project for my Dad and I. We have enjoyed restorig the home and look forward to making improvements year over year. When the home is not being rented to fellow vacationers my family and I enjoy spending time here. As an owner my number one priority is for my guests to have a relaxing and enjoyable time. I am very particular about the finishes and style and quality of my home and that helps me provide my renters with positive, comfortable yet stylish vacation retreat. My property has a big beautiful yard with lots of space. 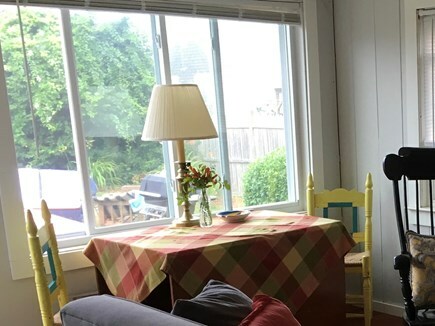 You can see the ocean from the kitchen window. 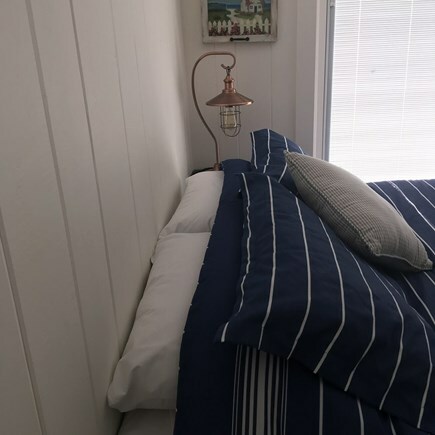 You can hear the ocean (if you sleep with the windows open). Inside, the house has beautiful ship lap walls and antique hardwood floors. All have been refinished to being out their true character. What I love most about this house is that after each layer I peel back (tears and years of fake panel walls, layers of linoleum floor, shag carpetting, etc) I find beautiful and excellent condition architecture that is just waiting to be brought back to life! Unearthing these treaures is what I enjoy most about this house. Dennis (and my section Dennisport) is a wonderful prt of the cape. It is in the “mid-cape” district and offers close proximity to most ammenities and attractions. Right in town there are beautiful beaches and excellent restaurants. There are also grocery stores, pharmacys, souvenier shops, and hardware stores. A short drive away and you can be hanging with the millionaires in Chatham or taking the kids to play mini golf in Yarmouth. 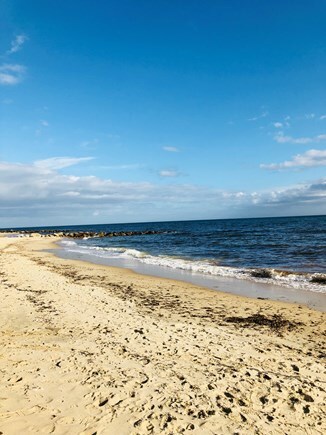 The mall and big box stores are about 20 mins away in Hyannis, or head 45 mins up to the tip and experience the natural beauty of Race Point or the bold culture of P town. The location being central makes for easy and efficient access to all that the Cape has to offer.